The proposed Sainsbury’s and Asda merger has been around for just under a year now, and on Tuesday 19th March they released a joint statement responding to the Competition and Markets Authority (CMA). Their response to the CMA’s Provisional Findings and Notice of Proposed Remedies included a nod to Asda’s fuel pricing, something we questioned before. Along with their fuel prices comes news of an up to 10% reduction across the board, Argos entering Asda stores and more. What issues does the CMA have? In February, the CMA released their provisional findings and in it they raised concerns that at over 100 petrol stations petrol prices could be inflated and competitiveness in some areas would reduce if the merger went ahead. They found a multitude of issues in the original documents, ranging from supplying to removing the competitive nature in areas where there are limited stores. The CMA proposed options to address their initial concerns, including blocking the deal or requiring the merging companies to sell off a significant number of stores and other assets – potentially including one of the Sainsbury’s or Asda brands – to recreate the competitive rivalry lost through the merger. Stuart McIntosh, chair of the independent inquiry group carrying out the investigation, said: “These are two of the biggest supermarkets in the UK, with millions of people purchasing their products and services every day. We have provisionally found that, should the two merge, shoppers could face higher prices, reduced quality and choice, and a poorer overall shopping experience across the UK. We also have concerns that prices could rise at a large number of their petrol stations. 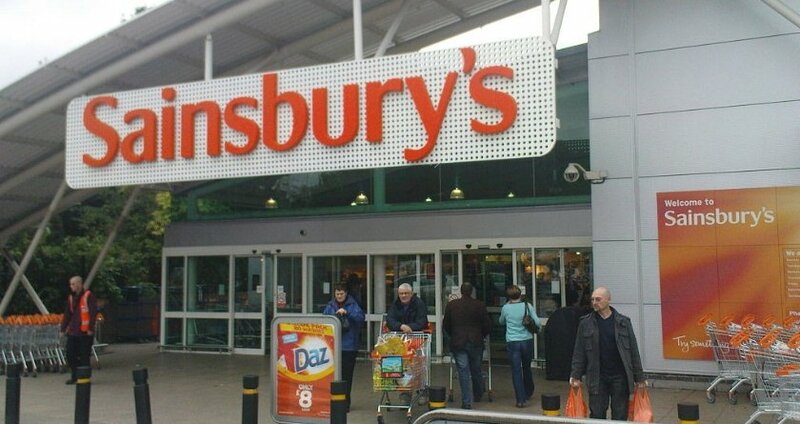 Sainsbury’s and Asda released their report into the findings and heavily argued against the results. The main highlight for PetrolPrices was the statement about fuel profits. Currently, Sainsbury’s are ordinarily second or third, tied with Morrisons, to drop fuel prices which are always led by Asda. Asda also has a price promise to be the cheapest petrol station of any station in a 3-mile radius of one of theirs. Back in May, we queried this in one of our articles, and it seems it has now been answered. Sainsbury’s announced they would cap their gross profit margin on fuel at 3.5pppl for five years, showing that it is currently more than this. Asda confirmed they would keep their current fuel pricing strategy. These price commitments will be publicly annually verified by an independent body and released to all. The interesting thing is perhaps the five-year limit on the profit margin limit, which implies that after five years, the prices could rise or could potentially fall. Jason Lloyd, Managing Director of PetrolPrices.com, said “ASDA dominates the top 250 cheapest fuel locations in the UK, which was one reason why the CMA rejected the proposed merger. Although it’s a good thing for the newly combined group to guarantee their lowest price fuel strategy for ASDA and capping gross margin at Sainsbury’s forecourts at 3.5p a litre, it’s not clear if the CMA will accept the proposal, particularly being monitored by an independent 3rd party reviewer. Sainsbury’s currently own 311 forecourts (as of 2018) and Asda own 319 (2018). Combined the market share would be 17.6%, higher than Tesco, the current market leaders, share. This could potentially lower the other supermarket’s cost as they aim to compete with the market leader in both price and size. Overall, prices could go down but if the share prices teeter any lower then they could drive up their prices slightly to compensate for any initial losses. We are committing to reducing prices by £1 billion per year by the third year which would reduce prices by around 10% on everyday items. We are happy to be held to account for delivering on this commitment and to have our performance independently reviewed and to publish this annually. As Sainsburys store prices are considerably higher than Asda, I cannot see this merger being of benefit to consumers. I don’t think Sainsburys will reduce their prices to Asda level, and if they do it will be short-lived and then they will blame rises on market forces. At the end of the day they are thinking of profit and shareholders. Rest assured, at the end of the day, Sainsbury’s will be looking after their interests before ours. In a 50 sq.mile radius here in the North West, Sainsbury’s fuel differs by up to 4ppl, depending on where you buy it from. Allow the merger. Put penalties in place on annual review results. If they show they have not fulfilled there pricing commitments. As. sainsbury shareholder I am totally in favour of this merger. The combined company should commit to Walmart pricing, it certainly benefits low income American families and would here too. We dont shop at Asda but we will buy fuel there if close to us as it is always competitive. We are hoping that Asda will improve its offering and that Sainsburys will reflect Asda fuel pricing. My advice shop somewhere else we have freedom of choice and trust me if you do this the prices will soon fall into line to get you back .into their stores. In our area. (Ashton-under-Lyne) sainsburys normally leads the fuel pricing for the area anyway. How about 10% less than Asda’s fuel prices instead? Here in Sunderland the price of fuel at Asda went up by 2ppl within a week of the CMA response in February. Obviously that happened at every Asda. If they can make such sweeping reductions then it just proves how they are currently ripping off motorists and shoppers with their pricing at the moment. And a quick wander around any Asda will show how they are increasing prices week-on-week. There’s no need to do so, it is simply greed! Asda is basically American , Americans will say ANYTHING to complete a deal! Remember CABURYS and their promise not to close factories ! Lasted just SIX WEEKS ! I don’t see this merger working. There’s such a conflict of interest. One upmarket, the other cheap & cheerful. There should be provisio: Any increase in prices would see the stores handed over to another company, without compensation. That’ll shut ’em up. I recall that when Wallmart were about to take over ASDA, they promised huge price reductions, we are still waiting. Big business is not to trusted. Asda Diesel prices seem to be being kept at 10 pence per litre higher than petrol prices at the pumps in ASDA forecourt yet it’s a few pence more fir petrol but a few pence cheaper for Diesel at Sainsbury pumps. Which prices will they use ! Profit first , false price fixing ! I have grave misgivings about this merger – yet another American company getting its claws on a British one – just like Boots – oh yes, no longer a British family firm, they belong to large pharmaceutical company called Walgreen’s. Asda belongs to Walmart, another huge American conglomerate. How aware are we of this? If you believe that you will believe anything. Let’s hope the competition authority do their job and knock this on the head. Sainsbury’s being fair ? There is a difference of up 6 p a litre within an 80 mile radius of Cambridge to Lincolnshire. Surely supermarkets should charge the same across the country and not profiteer from so called wealthy areas as they are a lot of people on a minimum wage or thereabouts( including most Sainsbury’s workers ) in the same area. The merger of asda and Sainsbury’s shouldn’t be allowed ever! It’s a disaster for customers of all type. Competition is the only way to ensure fairness for all customers and we all know it wouldn’t be long before any promises were broken under a multitude of excuses! In my region the difference in price between an Asda petrol station and a Sainsburys one is less than a penny per litre. Not enough to worry about choosing one over the other based on price alone… what settles it for me is that there is no way on Earth I would ever buy my weekly supermarket shop from Asda. It’s full of ne’er-do-wells, junkies and truanting kids. Good for Sainsbury and Asda in trying to attract customers by selling fuel at 3% margin. Government intervention and monitoring is just a distraction though. With Fuel Duty at 57.95p/litre, then 20% VAT (11.59p) on top: that 69.54p shows us where our Government could help if it wanted to. Capping fuel prices cannot last. The aim of Sainsburys is to buy up the competition (Asda) and be in a position to charge what they like for food lines and fuel. Stifling the competition is NOT good for the consumer.